Is there such a thing as Lyme Induced Autism? Yes, as a matter of fact. How do I know? Because my husband, Warren M. Levin, MD was one of the first physicians to make the link between the two. As if autism is not complex enough. He had already been working with autistic children for well over 15 years and his approach had been quite successful working on issues around the gut, allergies, toxins, and mitochondrial dysfunction among other areas. Dietary changes were number one and that alone would often make a difference. However, he had not seen a child like the one I will share with you below. Dr Levin had also treated schizophrenia with megadoses of supplements and had had significant success with that as well. In fact, I am still in touch with a man who was treated by Dr Levin over 40 years ago for schizophrenia. He totally recovered and went on to study psychology and became a therapist. He is well to this day, and practicing full time. He cannot imagine what his life would have been like had he not found Dr Levin in the 1970’s. So now, let me share the story of how Dr. Levin would come to make a connection between Lyme and autism. In 2003, Dr Levin was consulting with a mother who was severely stressed. She explained she had a husband that was diagnosed bipolar and she had a son that was also diagnosed bipolar. However, this was not genetic, as the son was adopted. His symptoms and diagnoses included the following: bipolar, autistic, obsessive compulsive, and antisocial personality disorder. He was 7 years old and he was on 4 major antipsychotic drugs. He was in a class with a few other children and had several aides with him at all times. He did not connect with any of the children. He was incontinent and did not speak. Additional care was required at home and he needed to be protected from hurting himself. After much discussion with the mother, Dr Levin asked if he could do some testing including a test for Lyme disease and co-infections as his practice was located in CT and his patients lived in CT. Dr Levin also suggested that they try to make some changes in the diet of this little boy while waiting on the lab results. The diet was a simplified version of the yeast free program Dr. Levin was well known to have developed. Sugar was eliminated along with wheat, corn and dairy. After about 10 days, the mother got a call from the school. Of course she was concerned and was sure something must have happened. However, when she returned the call, she was delighted to hear that her son was beginning to be aware of other children in the classroom. He began to pay attention when his teachers spoke with him. He was beginning to focus. This was, indeed exciting news. Dr Levin decided to add in an antifungal and a few supplements in powder and liquid form and slowly this little boy continued to improve while waiting for all the laboratory testing to be returned. When all the results came in, his testing for Lyme and several co-infections were all positive! He was allergic to several foods and had unhealthy bacteria in his gut including an overgrowth of yeast. He was was also dealing with a heavy burden on his body of toxic metals. However, Dr. Levin knew that he had to go very slowly and could only make one change or addition at a time. Dr. Levin, had the child’s Mom begin an elimination and rotation diet and he continued to treat the yeast and unhealthy bacteria adding in a probiotics’ formula for children. 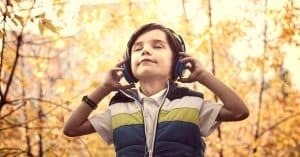 He also introduced other nutrients and minerals slowly including magnesium and B6, which he had had success with in helping other autistic children begin to speak. When his mother decided to bring her son in to see Dr Levin, again, it had been about 6-8 weeks. While Dr. Levin had met the boy early on he had not seen him since the first visit. That day, this young man carried a little rubber toad with him in his hand. When Dr Levin said hello to him, he put his hand out and said, “Dr. Levin, I have a toad in my hand.” You can imagine how the staff rejoiced and cried and shared incredible delight with the mother. This was the beginning. To summarize this story before we move on, this young man was treated by Dr. Levin for sometime and once he began treatment for Lyme and the co-infections, he was gradually weaned off all the medications he had been on. His recovery was nothing short of spectacular. He was mainstreamed and went on to advanced placement in higher education. He did have a set back with a reactivation of his Babesia (a co-infection) and was hospitalized for a short period of time. His mother went on to do interviews with Dr. Levin on radio as well as sharing her experience with other parents. In total there were 9 children that Dr. Levin tested for Lyme and tick borne diseases in this initial group of children that fell on the alphabet soup spectrum of developmental delays and autism. All of the children tested positive for Lyme disease. Did all the children have such spectacular results as the first child? No, but several had significant improvement. The therapy was long and arduous, at times, and uncomfortable with injections of IM bicillin being given as well as other oral antibiotics along with a rigorous program of nutrients, diet and detoxification. In 2007-2008 Dr. Levin received a call and was asked to come to California. for a think tank session with other practitioners who were also making similar discoveries. However, at a conference of physicians treating autism with a biochemical approach, they did not want to hear about this newest discovery. Yet, a group called Lyme Induced Autism was Founded! Up until his retirement, in 2014, Dr. Levin continued to treat children with autism and tested for Lyme and its co-infections as well as PAN’s or PANDA’s, a resistant form of strep. Scroll forward some 15+ years, you might ask, so what is it that I do? I take a thorough history and have you, the parent, fill out several questionnaires. We are going to delve into your child’s history and behavior issues. I will have you gather up laboratory testing that has been done and forward them to me for review. I will send a list of specific questions I want returned to me prior to our consultation. I want a picture of the child if the child is not coming to the consultation and I want a picture of the child’s tongue. I then sit down with you and go over all the data listening intently to you for all clues and signs that will be important in laying out a plan of action. At the completion of the visit, I will prepare an extensive list of tests that I want done and areas that I want further explored. I will begin to work with you on diet and some supplements and most definitely probiotics. Based on your location I will then research a physician that I believe we can work with as a team. If you are local to Atlanta,GA I often attend the first consultation and the review of all the tests on their return once they have been done. If you are long distance, no worries. I work with practitioners all over the country. Your location is not a barrier to our working together. SO, are you ready to move beyond what has been done and offered to you in reference to care for your child today and the future? Are you ready to look at the possibilities of moving beyond where you are to seeing a brighter future for your child and for your family? If you are ready, then I am ready to dive in with you to peel back the layers and discover who that child is, that is hidden and locked in him/herself. If you are a parent that is dealing with a child on the spectrum I encourage you to step out of the box and explore the possibilities and the reasons that your child might be having such a challenging time. Drugs are not the answer long term. In fact, what I call ADHD is Another Doctor Handing Out Drugs! Why Do I Call Myself a (health) Detective? 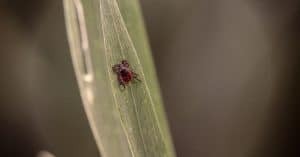 A Tick Bite is not just a Simple Tick Bite. Why?